Boston — Attorney General Maura Healey today sued Purdue Pharma L.P. and Purdue Pharma Inc. (Purdue) for misleading prescribers and consumers about the addiction and health risks of their opioids, including OxyContin, to get more people to take these drugs, at higher and more dangerous doses, and for longer periods of time to increase the companies’ profits. The complaint alleges that Purdue contributed to the opioid epidemic, including the opioid-related deaths of more than 670 Massachusetts residents prescribed Purdue opioids since 2009 and thousands more who struggled with cycles of overdose and addiction. The AG’s complaint also names 16 current and former directors and executives of the privately held Purdue, alleging that as leadership, these individuals directed Purdue’s deception. The defendants in the AG’s complaint, filed today in Suffolk Superior Court, are Connecticut-based companies Purdue Pharma Inc. and Purdue Pharma L.P., current and former Purdue CEOs Craig Landau, John Stewart and Mark Timney and current and former members of Purdue Pharma Inc.’s board of directors Richard Sackler, Theresa Sackler, Kathe Sackler, Jonathan Sackler, Mortimer D.A. Sackler, Beverly Sackler, David Sackler, Ilene Sackler Lefcourt, Peter Boer, Paulo Costa, Cecil Pickett, Ralph Synderman, and Judy Lewent. The Sackler family has sole ownership of Purdue and holds the majority of the seats on Purdue Pharma Inc.’s board. Purdue manufactures, markets and sells prescription opioids, including OxyContin, Butrans, and Hysingla. Since 2008, Purdue has sold more than 70 million doses of those opioids in Massachusetts, generating revenue of more than $500 million. Misrepresenting the risks of opioid use to prescribers and patients. Purdue disseminated and sponsored unbranded, promotional materials that lauded opioids as “the gold standard” of pain medications; purported to help consumers “overcome” “concerns about addiction;” warned prescribers against “unnecessary withholding of opioid medications;” and suggested to prescribers that patients showing signs of addiction could properly be treated with more opioids at higher doses. At the same time, Purdue deceptively downplayed the risks of addiction, overdose and death associated with its opioids. Misrepresenting that Purdue’s opioids provided more consistent, effective and even safer relief than acetaminophen and ibuprofen. Purdue claimed that its opioids improved patients’ quality of life, even when internal Purdue documents admit there were no clinical studies or other evidence to substantiate that claim. Aggressively targeting marketing and promotional efforts at vulnerable populations – including veterans, the elderly and people who were not taking opioids before – to increase profits. Misleading prescribers and patients about the increased risks associated with prolonged use of its opioids in order to extend average treatment duration. Purdue targeted patients who could be kept on opioids for more than a year. The Massachusetts Department of Public Health has determined that “continued prescription opioid use increase[s] risk of fatal overdose.” Compared to the general population, a patient who receives three months of prescribed opioids is 30 times more likely to overdose and die. The lawsuit further claims Purdue aggressively pushed its opioids at numerous medical practices where it knew improper prescribing, misuse and diversion were occurring and patients were overdosing and dying. According to the AG’s complaint, to make sure doctors prescribed more of its drugs, Purdue tracked doctors’ prescriptions, visited their offices hundreds of times, bought them meals, and asked doctors to “commit” to putting specific patients on Purdue’s drugs. Since 2008, Purdue has sent sales representatives to push its opioids in Massachusetts doctors’ offices, clinics, and hospitals more than 150,000 times and has given money, meals, or gifts to more than 2,000 Massachusetts prescribers. Purdue also rewarded prescribers with consulting deals worth tens of thousands of dollars and kept promoting drugs to them even when the doctors wrote illegal prescriptions, lost their medical licenses, and their patients died. Through the lawsuit, the AG’s Office seeks restitution, damages, and penalties for Purdue’s illegal conduct and an order requiring Purdue to abate the harm it has caused. The AG’s Office also seeks appropriate injunctive relief. AG Healey announced her investigation into drug makers in June 2017, along with a national bipartisan coalition of attorneys general, to determine whether the companies sought to increase profits by misrepresenting the dangers of prescription painkillers and ignoring the public health risks of spiking opioid sales. In September 2017, the coalition expanded that investigation to include other manufacturers and distributors. 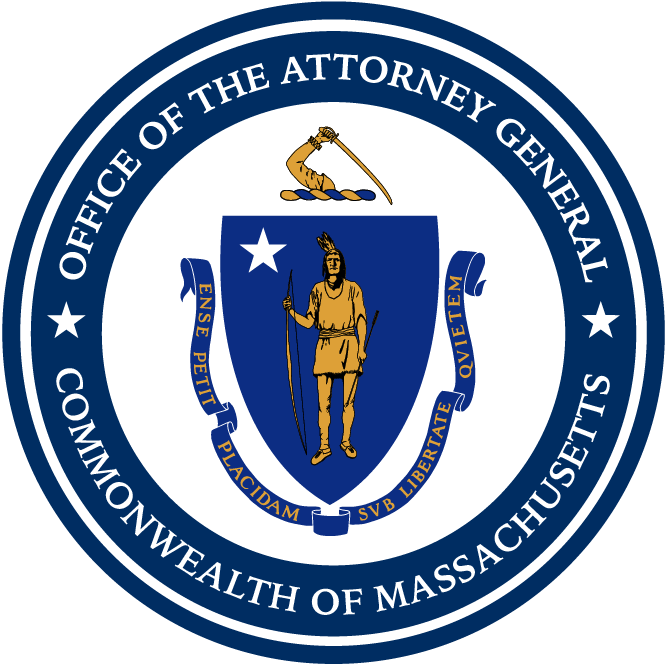 AG Healey’s investigation into the other opioid manufacturers and distributors, including Endo, Janssen, Teva, Allergan, AmerisourceBergen, Cardinal Health, and McKesson, remains ongoing. This matter is being handled by Health Care Division Chief Eric Gold and False Claims Division Chief Gillian Feiner, Assistant Attorneys General Sandy Alexander, Stephen Vogel, Jeffrey Walker, Jenny Wojewoda and Michael Wong, Legal Analyst Julia Walsh, and Attorney Matthew Lashof-Sullivan, with assistance from Assistant Attorney General Jessica Acosta, Investigator Marlee Greer, and Paralegal Megan Lima.